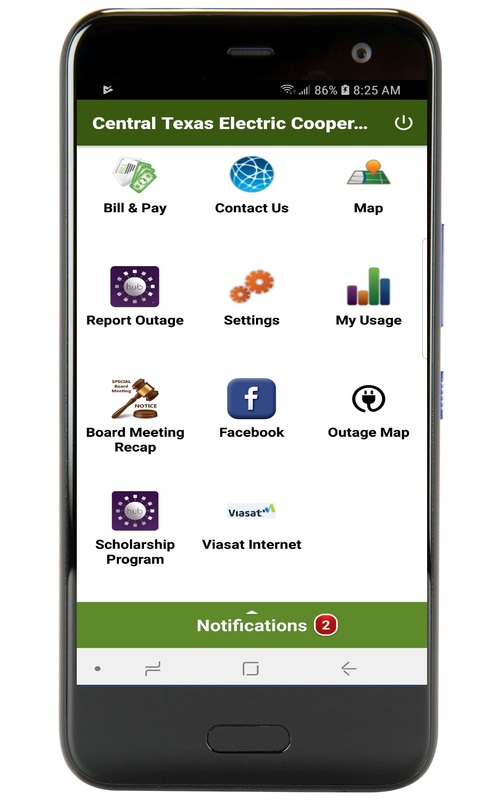 CTEC offers an app to make payments, report an outage, make account updates or view their electricity use on a daily, monthly or annual basis. The app is available on iTunes or Google Play stores. To download click the link below! SmartHub allows members online access to account information and secure payment options. Members can choose paperless billing, update address and phone information, and view their bill as well as billing and consumption history. Secure payment options include making online payments and enrolling for recurring bank and credit/debit card drafts. Bank account and credit card information can be saved for future online payments and can be changed for recurring drafts through SmartHub. your co-op process your payments more efficiently. Automatic Bill Payment - Let us process your payment automatically using a recurring bank or credit/debit card draft. Enroll and update financial information through SmartHub. Online Bill Payment - Pay your bill through our SmartHub website and save your financial information for future online payments. Sign up today as an SmartHub user to submit online payment or enroll in automatic bill payment.